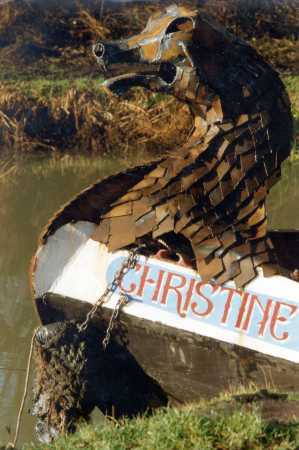 A Commission on a traditional English longboat, the vessel is a comfortable home somewhere near Oxford. The construction is from welded steel plate with scales /cladding welded to the lamination. Some optional extras with this piece included glowing eyes & ability to breathe fire up to 100 ft.